An update to Vol. 1, pp. 195–201. The Roman amphitheater at Beth Guvrin was first identified in 1981 during the archaeological-architectural survey of the city. Probes were sunk during three brief seasons from 1982 to 1986. Systematic test excavations, accompanied by clearance of deposits from the arena, took place from 1990 to 1992. 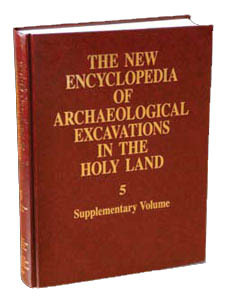 Large-scale excavations were conducted from 1993 to 1995 under the direction of A. Kloner and A. Hubsch. The inner citadel was excavated from 1992 to 1993 by A. Kloner and E. Assaf. The bathhouse located in the citadel enclosure east of the amphitheater was excavated from 1995 to 1997 under the direction of A. Kloner and M. Cohen. The fortress and fortifications have been excavated and exposed since 1992. The church was sporadically excavated in 1982, 1986, 1992, and 1994–1996 by A. Kloner, D. Chen, D. Gamil, and M. Cohen.